Our Clients | Transform, Inc. Since 1996, Transform has helped a broad range of companies expand their potential and achieve concrete, measurable results. Transform’s 21 years of success in the field of transformation and change is evidence enough itself to recommend them to you. In a world of quick fixes and 10 second sound bytes, Transform’s longevity is a testament to the satisfaction of their clients. Additionally, I personally experienced the power of their work when I co-facilitated a Leadership Training with one of their corporate clients several years ago. 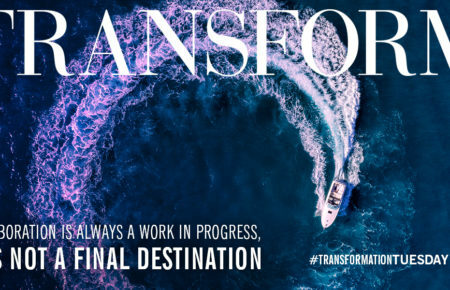 The level of awareness, communication skills, and demonstrated commitment to a successful organization culture as a result of their work with Transform was just incredible. I highly recommend their customized, collaborative, and visionary approach. They will help you provide solutions to the organizational issues you face. We wanted to increase revenue and position our company for growth. Transform helped us envision the steps we needed to take to increase revenue and build an organization that was competitive, agile and resilient, efficient and profitable. We implemented their recommendations to restructure the company, build a leadership team that was accountable for the day-to-day management of the company, realize operational efficiencies, and implement a long-term talent management plan for attracting, developing and growing talent within our organization. Their recommendations were spot-on and where we are today far exceeds where we thought we would be when we first began working with Transform. Allison Huke Felix /Chief Operation Officer, Cassaday & Company, Inc.
Transform not only helps us set goals and develop plans for individuals, departments and the firm overall, but constantly pushes us to raise the bar on our performance, and keeps us looking out for how to differentiate ourselves in the marketplace, as well as keeping our employees happy, thriving and motivated. Continuing education, webinars, and shared best practices all contribute to this, too. Like the investments we have made in our technology, continued education and office workspace, we recognize the value in working with consultants like Transform, who mind the pun, have indeed transformed our business. With the help of Transform, we are able to continue to distinguish ourselves against the competition and hire and retain talented employees. In working with Transform, Inc., we experienced leaders able to hold others accountable in a manner that increased everyone’s confidence and ability to perform. Their leadership coaching and use of the Enneagram was a breakthrough for our people. It literally changed people’s lives. There was a direct link between the Enneagram and the enhancements in leadership and financial sales. These were not “soft skills” but real business skills that drive sales and effective leadership behaviors. Chris Krell /Principal, Cassaday & Company, Inc.
We are experiencing an annual 20% increase in sales and Mary Anne has had a significant role in this. She helped us to identify our core buying reasons and why a client would want to engage with us. She cares so much and is willing to talk with us at any time. There has been no better investment that we have made. Mary Anne was an invaluable resource for me when I was purchasing my company. She provided great insight into how to navigate key conversations with the previous owner and our team and was someone I could bounce ideas off and get honest feedback. Today she continues to provide dynamic guidance to me and the team which is helping to shape my company. Craig Durosko /President, Sun Design, Inc. I started a business because I loved the “craft” – but running a business was not my strength. I started working with Transform in 1995. They helped me to establish internal processes, sales processes, improve communications company-wide and prioritize the many things a business owner is challenged with. Both Theresa and Mary Anne are very strong at helping people to grow – both personally and professionally. They really helped with the strategic growth of our company and the development of our people. My vision and passion for the company I started 7 years ago has been renewed. Today my team has never been stronger – the leadership and direction of our company has never been more sound. Thank you Transform! I don’t think you can put a price tag on the value they bring. They are definitely one of the best-kept secrets in the business consulting industry. Stop thinking about what you should do, and do it! Contact us today for a complimentary 30-minute consultation. We can talk about where you are, where you want to go, and if we’re the right people to lead you there. Even With Hindsight Would You Do It Again? What makes a leader “great”? This is what putting it all together looks like! A business storm’s a’brewin. Is your business weatherproof? Traction + Momentum = Growth. Where Will 2019 Take You?